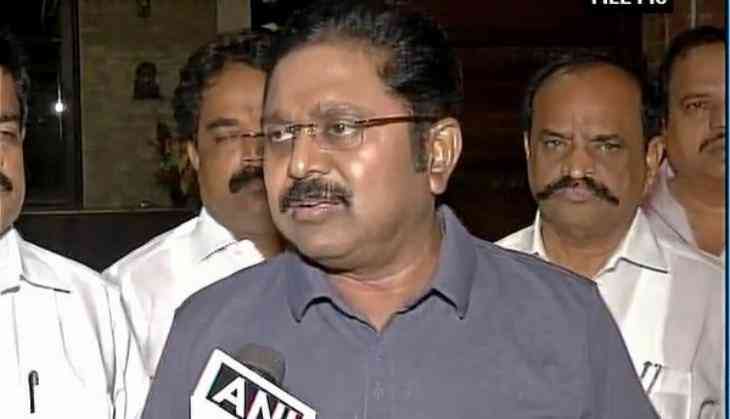 The Delhi Police have issued a lookout notice against ousted All India Anna Dravida Munnetra Kazhagam (AIADMK) leader TTV Dinakaran and the immigration department has been informed about the same. This comes after AIADMK leader and state Finance Minister D. Jayakumar yesterday announced that V.K. Sasikala and her nephew Dinakaran were decided to be 'delinked' from the party. Earlier, Jayakumar announced that a new committee was formed to administer the affairs of the AIADMK. Demanding the ouster of Sasikala and her nephew from the AIADMK, former Tamil Nadu chief minister O. Panneerselvam said the party should not be controlled by one family, adding it was nothing short of treason to allow the former to control the party's affairs. He said that he had sent a petition to the Election Commission to declare Sasikala's appointment as AIADMK general secretary 'illegal'.